Game stories & links are below for the 2002 season. At the bottom of the page there is a roster and some recruiting news from the team. Click the SCHOOL NAME to go their website, & click the GAME SCORE for the game story, stats & links from the Greer game. The Greer High Football Banquet was held Thursday evening at the school. There was a great crowd on hand as Furman University Head Coach Bobby Lamb was the speaker. The Greer coaches gave out awards, then Coach Perry presented the major awards. Walter Booker was named defensive MVP, while Josh Williams & Sinclair Cannon shared the offensive MVP award. The special teams MVP was Clemson-bound Sergio Gilliam. Collier Smith was recognized for his career commitment to the program, as well as his 3.9 GPA. These awards were voted on by the team. The Coaches Award, selected by Coach Perry himself, for unselfish, hard working, leadership, team first attitude, and performance on & off the field, went to Josh Williams. There were several other awards, along with all the many volunteers that Coach Perry recognized, who help make the Greer football program special. The evening was closed out by a music & video production of the 2002 football season. Four members of the 2002 Greer High Yellow Jacket football team have been selected as all-conference members. Quarterback Josh Williams, defensive back and wide reciever Sergio Gilliam, linebacker Walter Booker, and defensive lineman Brandon Harris were named to the squad. There were some notables from the Greer team that were not named, but having four from the talent rich Enoree River Conference is still a great showing. Congratulations to Josh, Sergio, Walter, and Brandon for being recognized as all-conference!! The 2002 Greer Yellow Jacket season was another impressive run for a school & community that expects excellence when it comes to football. For game stories, and other interesting information & links, just scroll down and relive the hits and thrills of the 2002 season. Note: some of the links may eventually not take you anywhere because they will take you to other school websites or newspaper or TV sites, but many of them are still active links! Greer got off to a rousing start Friday night with a convincing 45-0 victory over the Travelers Rest Devildogs. Backup QB Sinclair Cannon returned the opening kickoff 75 yards for a score to get things started. That would prove to be the only points needed, as the defense, despite giving up over 200 yards to T.R. 's Jay Cox, created 5 turnovers, and blocked a field goal in pitching a shutout. Sergio Gilliam, who blocked the field goal, and Shun Foster, each had an interception. On their first offensive series, Josh Williams hit Sergio with a 16 yard touchdown pass in the back corner of the end zone, then on the next possesion, Josh ran it in from 27 yards out on a dazzling run that started right, then left through the tackles. He then was hit, regained his balance with a hand to the turf, then ran through a would be Devildog tackler for the score. Then, after getting the ball back, Williams hit Alan Mills in the right flat, and #6 did the rest, streaking down the right sideline to put the Jackets up 28-0. Late in the half, Durrell Burnette got a 10 yard run to make it 35-0 at the half. Greer added a 4th quarter touchdown on a nice series directed by Cannon, who ran it in from 3 yards out after making a long run to get the Jackets into scoring postion. late in the game, Collier Smith, perfect on the evening with 6 PAT's, nailed a 38 yard field goal to make the final score 45-0. Check Big Chad's page Saturday for the final game statistics. Just click on "Network Team". The Poinsett Grocery players of the game, were Josh Williams on offense, and Walter Booker on defense. The 1-0 Jackets take on the Byrnes Rebels next week in Duncan. Radio air time is 6:00 for the Tailgate Show on WPJM AM-800, and kickoff is 7:30. Make your plans to be there! 9-1 G-News Article-"Greer Whip's T.R......."
Greer found themselves in a 21-0 hole at halftime Friday night in Duncan to the Byrnes Rebels, but a positive talk by Coach Travis Perry led to an inspired comeback that fell just short as the Jackets got to within 21-15 with just under 4 minutes to play, but a late touchdown pass on 2nd and 16, 88 yards worth, put the game away just as it looked like Greer would get the ball back near midfield for a potential game winning drive. That score made it 28-15, and Byrnes was able to hold back Greer & run out the clock. The game was played in front of more than 10,000 fans, as the Rebs got on the board when Drew McClintock returned an interception 23 yards for a TD about midway through the first quarter. The score stayed 7-0 until 6 minutes to go in the first half, as they got a 3 yard run to go up 14-0. After another interception and with a short field to work with, the Rebels converted one 4th down, then scored on a 14 yard pass with under a minute to go in the half to make it 21-0. In the 2nd half, the Greer defense stopped Byrnes on the opening possesion and drove it down the field for a score, with both Josh Williams and Sinclair Cannon taking snaps at quarterback. Carlos Bennett, back at practice just yesterday after an elbow injury, took it in from 10 yards out to make it 21-7. Another stellar defensive stand, a high snap into the endzone on the Rebel punt, put 2 more points up after the Byrnes punter could do no more than kick it out of the back of the end zone. That made it 21-9, and after a Sinclair Cannon kickoff return deep into Byrnes territory, the Jackets clearly had the momentum. With the crowd roaring on both sides, the Rebels were able to turn back Greer this time. After swapping punts Greer then mounted an 80 yard drive, mostly on the ground, as they chewed up yardage, and time. On 4th and 2 from the Rebel 14 yard line, Cannon followed a vicious block by Eugene Booker for a score, and suddenly the Jackets were inside a touchdown to another great Nixon Field comeback, as it was 21-15 with just under 4 minutes to play. That set up the heroics of Justin Fullbright and Bradley Robinson. On 2nd and 16 from their own 12, momentum clearly now wearing the black & gold, and visions of a go ahead touchdown drive from somewhere near midfield after two more snaps by the Rebels, Coach Bobby Bentley called timeout as the Byrnes offense struggled to compose themselves. Coach Bentley called a fade route, a bold call in itself so deep in your own territory. But Fullbright's pass was where only Robinson could reach, and despite good pass coverage, Robinson hauled it in one handed and streaked down the right sideline for an incredible, back breaking score. That made it 28-15, your final score. The Poinsett Grocery Players of the Game were, John Barbery from the offensive line, and Eugene Booker on the defensive side. Congratulations to those two guys for a game well played. Kudos also, for a great comeback against a team that is obviously one of the State's best. Note that tonight, Aiken beat Gaffney. Aiken is the same team that in week one, Byrnes completely dressed down, piling up a 35-3 third quarter lead. Credit the coaching staff, and the team leadership for getting themselves back in the game. Also, great job by the Greer fans who once again showed up in big numbers and were vocal as well. From our vantage point in the home press box, you looked and sounded good, Greer fans! Greer will be at Dooley Field this coming Friday night for their home opener against the Chesnee Eagles. Lets bring out a great Yellow Jacket crowd to greet them. Radio airtime is 6:00 for the BB&T Yellow Jacket Tailgate Show, and the kickoff is at 7:30. We thank you for listening to us on AM-800 and for visiting this site, and for all many of you do to support the Greer Yellow Jackets. The Greer Yellow Jackets got back in the winning way tonight with a convincing 60-8 victory over the Chesnee Eagles. On the opening drive Josh Williams ran it in from 10 yards out to give the Jackets a 6-0 lead, and after the ensuing kickoff was fumbled by the Eagles and recovered by Alonzo Booker, Williams caught a 29 yard touchdown pass from Sinclair Cannon. On the play, Williams pitched it back to Cannon on the reverse, who threw a strike back to Williams at the goal line. That made it 12-0 before Chesnee could run a play. On the next series, the Eagles did get two plays off, before Josh Buckley srtipped the ball, and returned it 22 yards for a 3rd Greer TD to make it 19-0. Cannon added a one yard run from the tailback spot to make it 26-0, and with the first quarter less than half gone, the Jackets were cruising. Two more touchdowns, one by Carlos Bennett and another by Josh Williams, made it 40-0. Chesnee got on the board midway through the 2nd quarter with a 60 yard drive capped off by a 3 yard run and two point conversion. On Greer's first play from scrimmage in the 2nd half, Williams hit Sergio Gilliam on the right sideline, and Sergio made a spectacular run through traffic and skirting the sideline for a 50 yard score, and after another good three and out series by the defense, Carlos Bennett, once again on the first play of the drive took the hand off and went 54 yards through the tackles for the score. Collier Smith's 6th extra point of the night made it 60-8. After that, Coach Perry & the staff were able to play a lot of new players and get them in some game experience. With the final result not in doubt and a driving rainstorm over the last few minutes of the game, the officials ran the clock down by several minutes. A good decision, especially since the field was becoming unplayable and lightning started flashing all about. A great start and a solid finish in a game that was good for the Jackets to get back in the win colunm. Greer improves to 2-1 on the season, and will travel to take on the Berea Bulldogs on September 20 in Berea. As usual, we hope to see you there, and bring along your headsets. If you can't make it, we'll bring it to you on WPJM 800-AM. Greer defense smothers Bulldogs in 47-3 win. The Greer Yellow Jackets broke open a clsoe game with two touchdowns in the final 36 seconds of the first half Friday night as they defeated the Berea Bulldogs 47-3. This was the first game since 1991 between the two Greenville County schools. Before the final minute of the half Berea had hung with the Jackets, and trailed only 10-3. After holding the Dogs and getting the ball at their own 39 with 46 seconds to play in the half, quarterback Josh Williams threw a perfect strike to Alan Mills at the Berea 35, an Mills streaked between defenders for a 61 yard score, and after another stop by the defense, Berea could have run out the clock in the half. But strangely, they took a timeout with 4 seconds remaining and the ball at their own 30. The ensuing pass was intercepted by Shun Foster at midfield, and he ran untouched down the sidelines for a touchdown as time ran out. Collier Smith's extra point made it 24-3 Greer at the half. Earlier, Berea had taken a 3-0 lead on a 22 yard field goal. The Bulldogs had controlled the ball for nearly ten of the first quarter's twelve minutes, with the Yellow Jackets only possesion resulting in a fumble at the Greer 44 after only three plays. Berea capitalized with the field goal to take the lead. The Jackets came back with a nice drive after recovering a fumble at Berea's 40, capped off by a Carlos Bennett 11 yard run to make it 7-3. Collier Smith later drilled a 39 yard field goal to make it 10-3, setting up the final minute heroics by Williams, Mills, & Foster. After haftime, an inspired Greer team, and equally deflated Bulldog team saw the score to continue to rise. On the first drive of the half, on 4th down at the 4, Williams hit Mills once again in the end zone for a score. Being chased toward the Greer sideline, Josh whipped a pass to a diving Mills, to make it 31-3, and after a great punt by Andrew Smith, downed inside the 1 by Justin Miller, the Jacket defensive line surged forward to push the Bulldogs into the end zone for a safety. Those two points made it 33-3. The Jackets final two scores came on punt returns. Sergio Gilliam got the first on a 56 yard return, and Alan Mills the other on a 39 yarder. That play came after several Berea players surrounded the ball to down it, but no one touched it. Mills, seemingly out of nowhere, raced in & scooped it up and left everyone standing still, as he sprinted down the sidelines for his third touchdown of the night. Smith's extra point made the final score Greer 47 Berea 3. The Poinsett Grocery players of the game were Alan Mills on offense, Matt Rainey on defense, and Andrew Smith on special teams. Smith had three punts that were downed inside the Berea 5 yard line, while Rainey had two sacks, two quarterback pressures, and several tackles. Mills had over 100 yards recieving, two recieving touchdowns, and a punt return for a score. So, a great game for the Jackets, as they move to 3-1 on the season. They will face the Eastside Eagles on September 27 at Dooley Field in the final non-conference game. Eastside whipped Riverside 35-7 on Friday night. You can click on the links below for the game stats, stories from the area newpapers, and pictures from Greenville Online. We hope you'll join us Friday night as the Jackets return home. Greer bolts to early lead, then puts away Eastside..
Greer fights off penalties, dropped passes. The Greer Yellow Jackets took the lead on the opening kickoff, scored again minutes later for a 14-0 lead, and didn't score again until under four minutes to play, as they defeated the Eastside Eagles 17-6 at Homecoming, Friday night at Dooley Field. Sergio Gilliam took the opening kick at the seven and started upfield through the wedge, cut left in front of the Greer sidelines and sprinted downfield for a 93 yard touchdown to start the game. Collier Smith's extra point made it 7-0 just 16 seconds into the game. After forcing an Eastside punt, the Jackets moved it quickly again downfield, Carlos Bennett taking it the final 13 yards for a touchdown, with the final blocks coming from quarterback Josh Williams, then Tommy Cohen and Jermaine Johnson. The point after made it 14-0. They then squandered three scoring opportunities with penalties as the defense continued to shine. Williams hit Gilliam with a beautiful pass that Sergio caught for a touchdown, but a clipping call brought it back. Later, a Carlos Bennett run to the Eagle 11 was called back accross midfield, with the Jackets being forced to punt on both of those drives. Then, Gilliam returned an Eagle punt on one the most spectacular tackle-breaking runs you could ever see, taking it 80 yards to the Eastside 10, only to have a penalty bring that one back too, to inside their own 10 yard line. Eastside then, after a Greer punt, moved down, aided by two more penalties, to get a short field goal before the half to make it 14-3. In the third period, it was all the Eastside ground game, which was shut down in the first half, but came alive in the second, as the Eagles kept the ball 10 of the quarter's 12 minutes, getting another short field goal to make it 14-6. The Greer offense continued to sputter somewhat, as more penalties dogged them, and three long passes by Sinclair Cannon to open recievers were dropped, two which were headed for touchdowns. The Yellow Jackets did get a late field goal by Collier Smith from 23 yards with about 4 minutes remaining, to give them a little breathing room. The defense was able to move Eastside backwards on the ensuing drive, and the offense ran out the clock to make the final score Greer 17 Eastide 6. The Jackets improve to 4-1, heading into the first conference game of the year, next Friday night at Dooley Field against the Newberry Bulldogs.The Poinsett Grocery players of the game were Sergio Gilliam on offense, who's great game could have been phenomenal aside from the plays called back, and Walter Booker on defense. Booker had 14 tackles, including 3 sacks in grabbing defensive player of the game for the second time. Newberry has been ranked in the top 5 all year after going 12-1 last year. 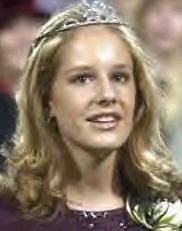 In the Homecoming festivities, Greer senior and cheerleader Laura Beth Neely was crowned Homecoming Queen. Special congratulations to a special girl in Laura Beth! So come on out next week & support the Greer Yellow Jackets nest week, and as usual, we'll be on the air on AM-800! More from G-News, including TV 7's video highlights.. The Newberry Bulldogs parlayed three Greer turnovers into 18 points Friday night as the visiting Bulldogs came into Dooley Field and defeated the Greer Yellow Jackets by the score of 25-20. They got an early 7-0 lead, & then tacked on a field goal after a Greer fumble to make it 10-0. Sinclair Cannon then ripped off a 59 yard scoring run to close the gap to 10-7 at the half. Another Yellow Jacket fumble put the Bulldogs into scoring position and they took advantage with a T.D. to make it 16-7. The extra point was botched, but quarterback J.J. Jeter scored on the play, getting them two points instead of one to make it 18-7. Greer rallied with a quick score by Durrell Burnette to close within 18-13, as Greer's two point try failed. Newberry looked like they might have iced it in the 4th quarter with another touchdown, this a 23 yard run to make it 25-13. But Greer wouldn't quit, as they marched downfield and scored in less than 3 minutes on another Cannon run, to make it 25-20 after Collier Smith's extra point. A great defensive stand by the defense gave the offense the ball back with under 3 minutes to play and a chance to win it with a touchdown. They then drove it to the Newberry 31, where on 4th and one with a minute to play, Cannon was stopped short of the marker, and the Bulldogs ran out the clock. Although the Jackets trailed for the whole game, had costly turnovers, and had to climb uphill the entire way, it was still encouraging to have a shot at winning it at the end. The Poinsett Grocery players of the game were Sinclair Cannon on offense with 176 yards rushing, and Andrew Smith on defense. Greer will travel to Riverside this Friday night to face the Warriors. The Greer Yellow Jackets showcased perhaps their finest performance of the season on Friday night with an impressive 55-3 victory over the Riverside Warriors. From an array of big plays to long scoring drives, and from great defense to special teams highlights, the Jackets dazzled the Warriors and the crowd. Sinclair Cannon, who got his first career start at quarterback, took off on an 84 yard scoring run on the Jackets second play from scrimmage, taking it around the left corner and slicing the Warrior defense for the score. Collier Smith tacked on his first of seven extra points to make it 7-0. On their next possesion, Durrell Burnett, now the starting tailback got an 11 yard run to make it 14-0. Riverside then put together their only scoring drive of the night, as they got a 25 yard field goal to close to within 14-3. But the Jackets came right back with another touchdown, this one a perfect strike from Cannon to Sergio Gilliam who beat his man and caught the pass on the run for a 44 yard touchdown. That made it 21-3. And on the final points of the half, Josh Williams directed the offense on a 69 yard option oriented drive capped off by Williams taking it in around the right side of the line to make it 28-3 at the half. Greer wasted no time getting things rolling in the second half, as Cannon hit Josh Williams, who played a lot at wide reciever as well, with a 25 yard pass. After the catch, Josh was cornered in at the Riverside 30 by three defenders, but somehow made them all miss, cut to the inside and scored easily. Smith's night continued perfect to make it 35-3. Gilliam then got his second touchdown of the night after another great defensive stand on a terrific 79 yard punt return. The next two scores were off the foot of Collier Smith. He boomed a 42 yard field goal that could have made it with ease from at least ten more yards, and then he nailed a 38 yarder on a drive that started all the way back from the Greer 11. Finally, Arthur Sitton came in at the tailback spot and put up over 100 yards rushing himself in the 4th quarter. He got the final touchdown of the night on an eye opening 49 yard touchdown, where he simply outran defenders, first to the sideline, and then to the end zone. The extra point made the final score, Greer 55 Riverside 3. The Poinsett Grocery players of the game were Collier Smith on offense, as he was 7-7 on extra points, and had the two long field goals, for a total of 13 points. He also had three kickoffs that sailed into the end zone. On defense, the nod went to Brandon Harris, who clogged up the middle and had three tackles for loss. Coach Perry said the great performance was a result of great practices. "We didn't know what to expect at practice on Monday after the loss last week. But our kids came out and we had a great practice on Monday. We had a great practice on Tuesday. We had a great practice on Wednesday, and then we polished some things up on Thursday and got focused in on the game. Good practices usually result in good games. I'm a positive person, and our coaching staff is full of positive people. Our kids caught on to that and we bounced back with a great performance." One note from the Riverside P.A. announcer, after Walter Booker, who had another awesome performance, had made what seemed like 7 straight tackles and a broken up pass......he made an announcement that a red Honda in the parking lot had their lights on. "Hopefully, it belongs to Walter Booker!" Greer returns to Dooley Field with a 5-2 record next Friday night to take on a much improved Broome Centurian squad, who knocked off Clinton tonight. Broome comes in at 6-1 and held the #7 ranking in 3-A going into tonight as well. It should be a good game, and hopefully most of you can make it out. Bring your headsets if you are there, and if not, we'll have it for you on AM-800. Good night!! The Greer Yellow Jackets shot out of the blocks Friday night with a crisp touchdown drive on their first possesion, and got a touchdown from it's defense moments later, and kept Broome at arms length the rest of the night in an impressive 43-21 victory at Greer's Dooley Field. A nice crowd assembled to see the #7 ranked Jackets against the #5 rated Centurians on a cool, football-type night. After shutting down the high powered Broome offense after a first down, the Jackets drove it quickly down the field, mixing it up perhaps as well as it has all year with a variety of sets, play calls, and personnel that would leave a defensive coordinator scratching his head. Durrell Burnett took it in for the score from 2 yards out, and Collier Smith's extra point made it 7-0. On the next Broome series, Broome quarterback Brett Storey, who entered the game with over 1500 yards passing in just seven games, was pressured as he threw and big Cornelious Ballenger on the defensive line picked off the pass and rumbled 19 yards for a touchdown. Smith's extra point made it 14-0. Later, Sinclair Cannon, who had over 250 yards rushing, scored from 30 yards out to make it 21-0, as the defense stifled the potent Broome attack the entire first half. But as the 2nd half started, the Centurians got the break they needed, as their pooch kickoff was fumbled and recovered by Broome at the Greer 37. After a 34 yard pass play to the one, Story sneaked it in to put Broome on the board at 21-7. But Greer responded. Cannon marched the Jackets downfield almost exclusively on the ground, as he scored on a 1 yard sneak of his own to make it 27-7. Not giving up, and with better pass protection in the half, Broome raced downfield and crept closer again with a 31 yard T.D. pass from Storey to Josh Hodge and the lead was down to 27-14. Broome's punch though, was taken and countered once more, as another impressive drive was capped off with a 21 yard Cannon scamper made it 33-14, and Josh Williams quarterbacked the two point conversion and called his own number on the option play to make it 35-14. Once again, Broome tried to get up with another score, this one another Storey to Hodge hookup from 23 yards and it was a 14 point game again at 35-21. But with eight minutes to play, Coach Perry inserted Josh Williams again at quarterback, and the junior signal caller methodicly drove the Jackets down the field, eating up nearly five minutes off the clock, as Durrell Burnett scored from 14 yards out. A planned fake and two point conversion was taken in by Williams again to make the final score, Greer 43 Broome 21. The Yellow Jackets improve to 6-2 on the season and 2-1 in Conference III 3-A. The Poinsett Grocery players of the game were Sinclair Cannon with his gaudy rushing totals for the offensive award, while Cornelious Ballenger gets the nod on defense, as his interception and score sure gave Greer some big early momentum. Greer once again takes the field next Friday night for what is now being called "Jacket Bowl IV" as Union comes to town, in a rematch of the last three Upper State Championship games. Even though there might not neccesarily be a title on the line, our Yellow Jackets would like nothing better than to break through against theirs, as both teams try to stay alive in their chase of Newberry for the conference championship. It was a good night at Dooley Field. Let's get set for a great one coming up!! Check out Rob's column on "Jacket Bowl IV"
CHECK OUT VAN'S BREAKDOWN OF THE GREER-UNION GAME--Click here!! It was a different night. There was no rain & the field was fairly dry. There were lots of points on the board. There was no Upstate Championship on the line. But it was a big game, a big crowd on hand, and one familiar result. The Union Yellow Jackets made it four straight against the Greer Yellow Jackets tonight in a 35-23 game. The hometown Jackets felt like they needed to get off to a good start, and things couldn't have been any worse early, as Union quickly built a 21-0 lead. They came with a wide open playbook, as the variety seemed to catch Greer's defense by surprise. They broke a 30+ yard run on the first play, then quarterback Justin Knox, who wasn't considered a huge running threat coming in, hurt Greer several times on fakes and rollouts with his timely keepers. Greer forced Union to 4th down on the 31, but Union converted, and later scored first to cap an 8 play. 74 yard drive to make it 7-0. After three plays and a punt, Union scored again as Charles Brandon scored from six yards to make it 14-0. After a Union interception an Greer's next drive, Union cashed it in, this time on a play deep in the playbook, as Knox pitched it to Brandon, who hit Blake Haney in front of two Greer defenders in the end zone from 23 yards to make it 21-0. Greer didn't get a first down until early in the 2nd quarter, but slowly began to crawl back into the game. After Andrew Smith punted Union deep into their own territory, Sergio Gilliam returned the punt to the Union 30. Greer moved to the 20 and stalled, but Collier Smith booted a 37 yard field goal to get the Jackets on the board at 21-3. The two teams swapped punts twice as the half ended. Greer looked to get back in it,as they recieved the 2nd half kickoff, but couldn't move it and had to kick. Kendrick Lyles of Union scooped up the bouncing ball of Smith's punt and raced down the field for a 54 yard return that put Union up 28-3 and had seemingly broken the Jackets backs. But, as has become one of ESPN's Lee Corso's quotes.."Not so soon, my friend". Greer began their rally, first of all by playing great defense. From early in the 2nd quarter until Union's last drive of the game, the Greer defense forced Union to punt on eight consecutive possesions. And even though the offense continued to struggle at times, the defense kept making Union give it back. Finally, Greer capped a scoring drive with a 13 yard Sinclair Cannon touchdown run, that with the extra point by Smith, made it 28-10. Another nice drive, aided by the defense giving good field position, and two Durrell Burnett runs of 13 & 2 yards, the last one for a touchdown, made it 28-16. The Jackets called time out & went for two, but didn't convert two minutes into the fourth quarter. Union threatened on their next drive but again the Greer defense stiffened and forced Union to punt again from midfield. This time Joe Wentzky burst through & blocked it, setting Greer up at the 30 with five minutes to play. A personal foul penalty on Union on the first play moved it to the 15, then Durrell Burnette ran it to the two, and Cannon took it in from there for a touchdown. Collier Smith made it 28-23 with the point after. After being totally out of it, and now squarley back in it, with the crowd roaring and momentum swinging their way, Greer was another Union punt away from a go-ahead touchdown drive. But Union responded. After being shut down for eight straight drives, call it experience, call it skill, call it that the Greer defense was worn out, or call it knowing how to win, they responded with a clinching 66 yard touchdown drive with Knox scoring from six yards away with just over a minute to play, to make the final score Union 35 Greer 23. The Poinsett Grocery players of the game for Greer, were Durrell Burnette on offense, and Brandon Harris on defense. Both had excellent games for the Jackets. Union improves to 8-1 on the season, 3-1 in the Enoree River Conference, while Greer drops to 6-3 overall, 2-2 in the conference. Greer travels to Clinton next week to face the Red Devils. This is an important game for Greer, as hopefully like last year, after the week 9 loss to Mann, can bounce back and get things rolling heading into the playoffs. We hope you will make plans to be in Clinton, but if you can't listen in on 800-AM. Keep the heads up Jackets. There are a lot of people who still believe that this can be a special year!! It was the walking wounded as Greer went on the road to legendary Wilder Stadium Friday night. With Tommy Cohen, John Barbery, Michael Smith, and Sinclair Cannon all out with injuries, and starting nose guard Cornelius Ballenger going down on the first play from scrimmage, and with Clinton going 85 yards for a touchdown on the opening drive, all had fallen in line for Clinton to tie up the all time series with the Greer Yellow Jackets. But what the Red Devils got, was an outstanding performance by several Jackets, and although the game remained tight, in the end Greer prevailed and got some much needed confidence and momentum heading in to the first round of the playoffs. Marquis Suber showed why he had over 1000 yards coming in, as he took a 4th and one handoff from the Greer 48 through Ballenger's place on the line, and raced untouched to the3, where Sergio Gilliam caught him, but the tackle took him into the end zone for a touchdown. The extra point made it 7-0. Greer bounced back with a drive of their own, as quarterback Josh Williams led the team dwon field with a variety of passes, options, and through the tackles runs. The drive stalled at the 23, so on came Collier Smith, and he nailed a 40 yard field goal to make it 7-3. On Clinton's next drive Alan Mills intercepted a Red Devil pass and Greer took advantage moving down to the 11, where Williams hit Gilliam with a perfect pass into the back corner of the end zone to make it 10-7 Jackets. Clinto came right back with another time consuming drive and tied it with a 27 yard field goal. The Red Devils game plan of keeping the ball away from Greer worked almost flawlesly, as the Jackets only touched the ball for 3 possesions in the half. They moved it to Clinton's 39 with 2 minutes to go, but an unsportmanlike penalty on the bench moved it back into Greer territory, and killed the drive. In the second half, the jackets took the opening drive dwonfield and scored, with Josh Williams taking it in around the right corner to move ahead 17-10. With the defense beginning to shut down Suber a little, and the offense continued to move it, but Smith couldn't connect on two field goals from 40 & 30 yards, both missing narrowly. Clinton made Greer pay for that, as they took the next possesion and tied it up at 17, as quarterback Jordan Barnes scored from 3 yards out. But in only two plays the Jackets got the lead back to stay, as Williams showed off the arm, and Gilliam his speed as the two connected again for their 2nd touchdown of the night from 58 yards out to mae it 24-17. Clinton did drive it to the Greer 20, but on 4th down Andrew Smith hurried Barnes throw, and the incomplete pass gave it back to the Jackets with just under 7 minutes to play. Behind Williams and Durrell Burnette's running Greer took the entire remaining time off the scoreboard, taking a knee twice inside the 5 to end the game. Greer improves to 7-3 on the season, 3-2 in the Enoree River Conference, while Clinton ends their season at 3-7. The Poinsett Grocery players of the game were Justin Miller on offense, as he came in for Tommy Cohen and played a fine game with 3 catches and some nice blocks. Matt Rainey had an excellent game on defense with 5 tackles, two for loss, and two hurries. Of course, Williams, who rushed for over 100 yards and threw for 163, and scored a touchdown, and Gilliam had two touchdown catches, along with Alan Mills seven catches for 63 yards and an interception, and Andrew Smith's great game, all would have been deserving winners. Next up for Greer, who if they can make it to Columbia will definitley be the road warriors, take on the Pickens Blue Flame, in Pickens. We will have the playoff brackets and information on our bracket contest up by Sunday. If the Jackets can get a couple of the injured back, including Cannon, and get them all on the field at the same time, Williams precision and Sinclair's big play potential, along with the threat of Mills and Gilliam will present problems for opposing defenses. The BB&T Yellow Jacket Taligate Show will be on at 6:00, and the kickoff is at 7:30. We hope you will be in the stands, but if you can't tune in to 800-AM. It was a good night in Clinton!! The Greer Yellow Jackets put together a complete performance in every phase of the game Friday night as they dominated the Pickens Blue Flame 35-0. Pickens, which came into the game with a 9-1 record, had allowed only 6.4 points per game coming in. In eight of their ten games, they had allowed 7 or less points, including four shutouts. But Greer took the opening kickoff and went 74 yards on nine plays, mixing the run & pass to keep the Blue Flame off balance. Josh Williams, who had his second straight outstanding game at quarterback, took it the final yard to give Greer the lead. Collier Smith's extra point made it 7-0. "That was a big drive that gave us a lot of confidence", said Greer Head Coach Travis Perry. "We had the first ten plays scripted coming in, we practiced them hard all week, and they couldn't have run them any better." After swapping punts, Pickens began to drive, moving into Greer teritory. But on 3rd down, Greer DB Josh Buckley stepped in front of a Curt Taylor pass and raced 73 yards down the left sideline for a touchdown with a large entourage of blockers. That made it 14-0, and again Pickens tried to mount a comeback, moving once again inside the Greer 40. But on 4th and a yard and a half, Pickens leading rusher Mark Merck was jolted at the first down marker, knocking the ball loose, and Shun Foster scooped it up and ran 63 yards down the right sideline for a touchdown. That made it 21-0, a lead they would carry into the half. Pickens would get the opening kick in the 2nd half, and desperately wanted to get a score and get back in it, but the Jacket defense quickly forced a punt. The two teams traded punts once more until Greer struck quickly again. On a play very much like the Williams to Gilliam pass in the 4th quarter last week at Clinton, Williams hit Alan Mills, who had beaten two Pickens defenders deep, with a perfect strike for a 53 yard touchdown. That made it 28-0, and one could begin to see Pickens flame begin to fade. After another great defensive stop, the Blue Flame punted and Mills circled under the punt, caught it at the 30, got a block from Gilliam to get to the corner, then a devastating block from Frank Booker at midfield, cut across the grain and coasted in for the score. It was a 70 yard return for Mills. That made it 35-0 after Collier Smith's fifth extra point. From there, the defense kept Pickens shut down, with Gilliam intercepting two Blue Flame passes, while the offense played ball control and milked the clock away. The Poinsett Grocery Players of the game were Alan Mills on offense, who had the two long scores in the second half, and Josh Buckley on defense, who's interception and return for the touchdown put Greer up by two scores, and set the tone for the Greer defense. Coach Perry said "I can't say enough about our defense, and the job our defensive coaches did tonight and all week. That was a very good 9-1 football team we played tonight. To come in here and get the shutout was special." Greer now travels to face the Clover Blue Eagles next, who defeated Wade Hampton. Clover is the #1 seed from Region 4. What a great crowd we had at Pickens tonight! Hopefully all of you that were there and more will make the trip to Clover. And as usual, we ask you to take along your headsets, and if you can't make it, listen in at home on WPJM AM-800. Great win Jackets!! It will be remebered as one of the classic battles ever for Greer. Both teams came out swinging and didn't stop swinging until the final bell, as the Greer Yellow Jackets went on the road again to defeat the Clover Blue Eagles 38-35 on Friday night. "We knew it would come down to the team that had the ball last, and fortunate for us, we had it last", said Greer Head Coach Travis Perry. "We're a banged up football team right now, but we'll get some rest, and start getting ready for Union on Monday. I'm very proud of our team." The night started precariously for the Jackets, who started from their own 30. On the first play, a missed exchange from QB to sunning back resulted in a fumble that Clover picked up and returned to the Greer 10. Three plays later, Ronnie McGill scored to give the Blue Eagles a 7-0 lead. Greer would answer that score though as a nice drive stalled at the Clover 7, but Collier Smith kicked a 24 yard field goal to make it 7-3. Greer would take the lead on the next possesion as another long drive resulted in a 6 yard touchdown run by Arthur Sitton. Smith's extra point made it 10-7 Jackets. But Clover showed what kind of game it was going to be as they drove it downfield, converting two third down conversions, and a fourth down. McGill them scored from the 8 to give them the lead back at 14-10. By now, the Greer offense was clicking. Led by quarterback Josh Williams, who had over 150 total yards in the first half, they moved swiftly downfield again, as Williams scored and Greer led 17-14. A big defensive stop for Greer on 4th down gave them the ball back late in the half and again the Jacket fast paced offense moved to the Clover 34. But Williams turned his ankle badly on the play, and that seemed to serve as as an unexpected uppercut in the slugfest. From there, the drive fizzled as the half ended with Greer leading 17-14. Even though Greer led, the injury seemed to motivate Clover and they kept the Jackets reeling with a long opening drive to reclaim the lead. An offsides penalty on the extra point moved it up to the 1 1/2, and Clover then went for two and made it to give the Blue Eagles a 22-17 lead. But Sinclair Cannon gave the Jackets, their coaches, and crowd just the thing they needed, as he hit Sergio Gilliam with a perfect strike deep down the far sideline with a 58 yard touchdown pass. That made it 24-22 Yellow Jackets. One the next series McGill took a vicious hit and fumbled. Frank Booker picked it up and scored from 24 yards out. Collier Smith's conversion made it 31-22 Jackets, as they scored 14 points in under 30 seconds to turn a five point deficit into a nine point lead. Clover fumbled again on their next posession as well and Greer looked to extend the lead as they were at the Clover 20. But the Clover defense rose up, and Smith's field goal was wide by inches as the fourth quarter began. Clover moved closer with a touchdown by Vince Starr to get it to 31-28, as the extra point was missed. Later, a fumble by Greer at the Clover 24 gave the ball back to the Blue Eagles, and they again drove the football. But the Greer defense broke up a fourth dwon pass inside the 10 yard line to preserve the lead at the five minute mark. Cannon & the Jackets then made a big-time drive that looked like it sealed it with 2:32 to play as Cannon scored from the six to make it 38-28. But a determined McGill broke free from three tacklers at the 30 on the kickoff, broke several more on the run, and returned the kick inside the Greer 10. They would score on the next play and it was 38-35. Shun Foster recovered the onsides kick for Greer, but fumbled two plays later and Clover had it at the 45. They moved the ball down to the Greer 14 with 24 seconds to play. From there, it was Foster again. He intercepted the Clover pass at the one yard line with 16 seconds left to finally secure the victory. One tense quarterback sneak ran the clock out for the Jackets. Greer moves to 9-3 on the season and face the Union Yellow Jackets next week at Union County Stadim, while Clover finishes their season at 8-4. The Poinsett Grocery Players of the game were Shun Foster on defense, who saved the day with the onsides kick recovery and the interception, and Sinclair Cannon & the offensive line shared the honors on offense. It was a tough, tough football game, but once again, the Greer Yellow Jackets are moving on into the third round of the playoffs. There are only four teams remaining in the Upstate. Let's show them our appreciation by sending a large crowd down to Union on Friday night! Go Jackets!! Watch TV-4's "Friday Night Hits" video! The Greer Yellow Jackets once again fell behind to the Union Yellow Jackets as they did in a game earlier this season at Dooley Field, not as early, and not as far, but once again put forth a furious comeback in the last five minutes. Trailing 21-7 with just over five minutes to play and Union 2nd and goal at the Greer 3 yard line, the Jackets reached deep down inside and came within a bouncing ball of a chance at sending the game to overtime. Two straight tackles for loss, and an interception by Sergio Gilliam gave Greer the ball back at their 18 with four minutes to play. Junior quarterback Josh Williams then led them down the field, hitting Gilliam, Andrew Smith, Alan Mills, and Durrell Burnett with passes on the way, with Williams scoring on 4th down from a yard out with 1:04 to play. Collier Smith's extra point made it 21-14. The Jackets then lined up for an onsides kick attempt. Smith's kick was perfect, as it bounded up high as it approached Union's front line. A free ball ensued as Andrew Smith appeared to momentarily corral the ball, but it bounced away, and when dug out of the pile, Union had it, and was able to run out the clock and secure the 21-14 win. "I'm extremely proud of our team", said Greer High Coach Travis Perry. "They played with so much heart, all year long. They represented our school and our community well. We had our ninth and tenth starters of the season hurt tonight, yet we never made excuses with that. Every time someone else would step forward and come up big for us. It was just amazing. I wish Union all the best next week. We'll be back, they beat us again and you have to give them credit. They have a great team, they showed that last week against (undefeated and #1) Greenville. But we haven't given up on beating them. We'll start soon preparing for next season, and we'll be back strong." Earlier, Greer had moved the ball deep into Union territory on their first two possesions, but couldn't punch it in. Union, which had a field goal attempt blocked on their third possesion, finally got the first score of the game with a 39 yard touchdown pass from Justin Knox to Blake Haney to make it 7-0 Union. Greer, with the first half winding down, moved to the Union 24 yard line, but an interception on 4th down gave Union the ball back. They promptly moved it to the Greer 3. But with four seconds remaining in the half, with kicker Nick Manness attempting a 20 yard field goal, the snap was high, and the holder now with the ball, he rolled out and lofted a pass towrds the end zone. But Greer senior and Shrine Bowler Sergio Gilliam picked off the pass and returned it 90 yards for a touchdown on an electrifying play as time ran out. Collier Smith's extra point tied it at intermission. Union came out and quickly regained the lead on a quick drive that saw Knox connect with Charles Brandon on a 51 yard scoring play to make it 14-7 early in the 3rd. Knox then hooked up with C.J. Lott in the 4th quarter from 16 yards out to get it to 21-7. This was a Greer team that finished the season at 9-4, while Union, 12-1 advances to play Lugoff-Elgin, a 48-42 overtime winner over Broome. It was a Greer team that played with heart, intensity, and a team that overcame many obstacles. In all four losses, Greer would battle back from double digit deficits to the brink of victory. Clearly the best team in the Upstate, Union was taken to the final minute in two contests with the Jackets this year. YellowJacketSports.net has been proud to cover Greer Yellow Jacket football the 2002 season. The heart and character our players and coaches have shown this year, again have made our community proud. Thank you as well to the terrific senior class that will be moving on, and good luck to Sergio Gilliam in the Shrine Bowl, along with Andrew Fisher, Brandon Harris, and Coach Joel Rice at the North-South All-Star Game. Thanks again for a great season! Note: this is the pre-game information that was posted on the site prior to the game. This week it's the Greer Yellow Jackets against the Union Yellow Jackets in a match up of Enoree River Conference foes. The game will be at 7:30 PM at Union County Stadium. Check back often as we get you set up for the game with our countdown to kickoff coverage! It's going to be another classic! ADVANCE TICKETS FOR GREER-UNION GAME WILL BE ON SALE AT GREER HIGH SCHOOL ON THURSDAY FROM 9-5 AND ON FRIDAY FROM 9-1. $6 Each. Check out Rob's column on "seeing the truth"! CHECK OUT VAN'S BREAKDOWN OF THE GREER-UNION GAME!! Greer High's all time career interception leader today signed scholarship papers to attend Clemson University at the school. "I want to thank my coaches, family, friends, team mates, and especially my mother for keeping my head straight and focused. I am very happy", Gilliam said Tuesday night on the Yellow Jacket Sports Network, following a career best 25 points in the Jackets thrilling 90-79 win over Riverside. For more recruiting info go to the PalmettoRecruting.com web site. Cograts to our own #9!! One of, if not the biggest, big play guy for the Greer Yellow Jackets last three seasons has signed a grant to take his talents to the North Greenville Crusaders. "Alan was at the very top of our reciever board all season. We are very excited that he will be joing our team", said North Greenville Head Coach Brian Smith. Smith was equally thrilled to sign Florian Straninger & Derek White, the 2001 Greer High linebacking corps in this year's class. White transfered from Wingate & is already on campus, while Straninger has prepped at Hargrave Military this year and will enter NGC as a freshman next fall. Those two will immediately make North Greenville's linebacker position very formidable. Straninger, known at Greer as Big Flo, or the German Hunk, is a native of Germany who's father works at BMW. His raw football skills and God-given size & speed are a work in progress. He will get better & better. He chose NGC over Division 1 Marshall and Tuscolum. Mills burst on the scene in the 2000 season as a Greer sophomore with a 17 yard touchdown catch & run with less than a minute to play that defeated Byrnes in a thrilling 28-27 comeback. He was a threat to break a big play any time he touched the ball....and often did. Mills, Straninger, and White join W.R. Marcus Mayfield and O.L Derek DeYoung, who won a starting job as a freshman this year with the Crusaders. The five will give North Greenville a distinct Greer Yellow Jacket influence in the years ahead. Couple that with Brian Smith, former Greer offensive coordinator on the '94 State Championship team being the head coach, Stuart Holcombe, the winningest coach in Greer High history, along with current NGC offensive coordinator Brad Glenn & assistant coach Greg Porter, who are both former offensive coordinators at Greer all on the coaching staff, you don't have to go far to follow a bunch of former Jackets! So with that.....go Crusaders! !